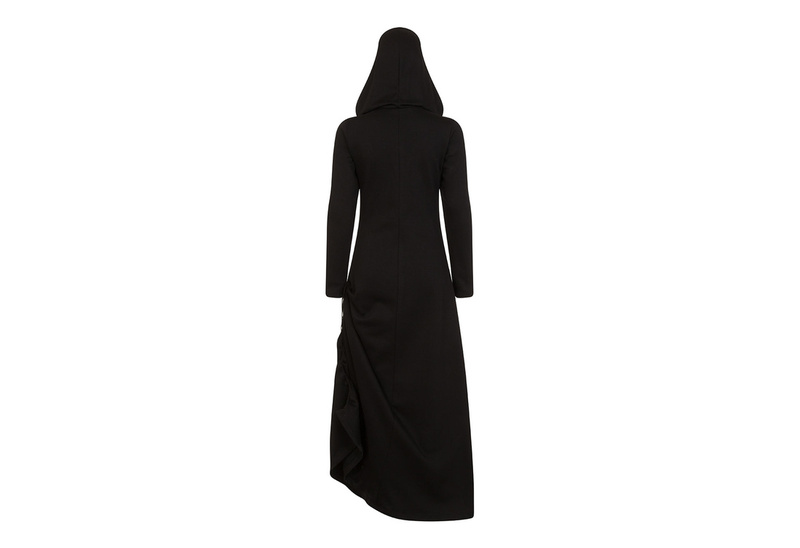 This attractive Gothic jacket features an over-sized hood, long sleeves with thumb holes, and an adjustable hemline. 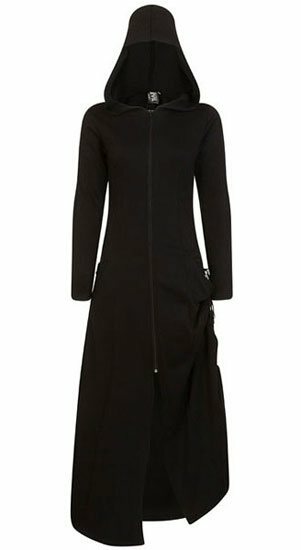 This stunning coat gives you two looks in one by pulling the cords at the waist it will transform into a shorter style coat! Which is great for wearing in cold winter weather as well as milder days. 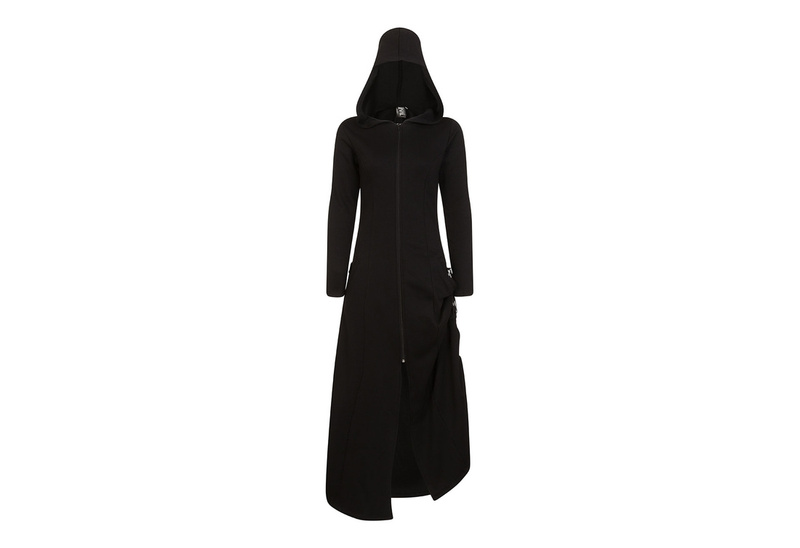 This coat also has a zip fastening and handy pockets, so it's practical as well as gorgeous! I absolutely love this trench. It was a bit tight on the upper arm, however after wearing it a few times it fits perfect. So glad I went with this trench coat.